Given Westworld‘s penchant for mysteries and puzzle solving, it’s no surprise that their latest promotion for the upcoming season involved a little of both! Just a few minutes ago, some of the Westworld cast tweeted cryptic hints about season 2, inviting fans to “ask Aeden” with a link to discoverwestworld.com. Let’s take a look at what we discovered! 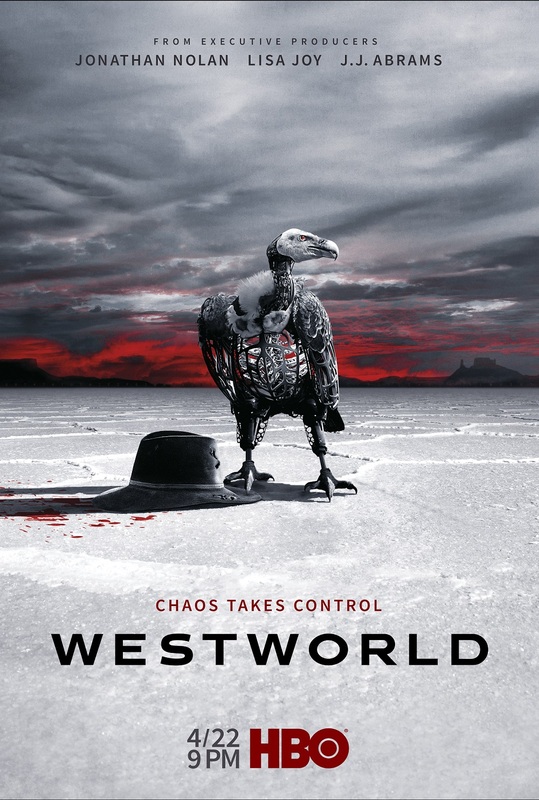 If you click on that link, it reveals the season two poster, which is both incredibly cool and incredibly disturbing – much like the series itself! Thankfully we don’t have much longer to wait before chaos returns to our screens. Some eagle eyed fans spotted code in the poster, which converts to a link to a video. It appears to be a mix of old and new footage (fittingly all involving doors), with a voiceover that sounds like the Young Ford host. Check it out below and let us know what you think!